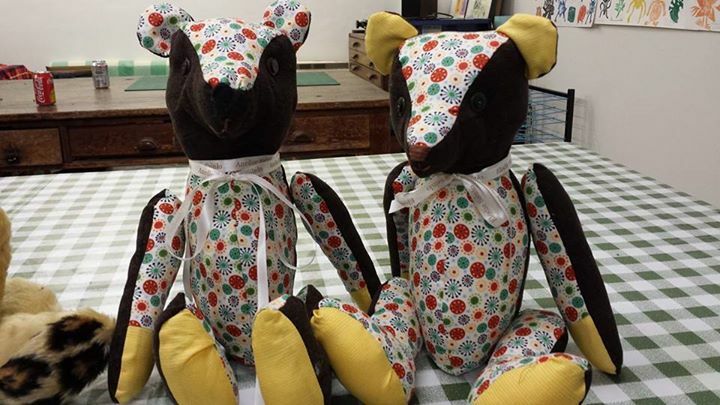 The welcoming craft drop in centre at INTRA was founded by Faye Lamb, with the aim to be a ‘home from home’ where local crafters & families can practice, learn, teach and sell their crafts. Visitors pop in to share skills and new ideas, become part of the growing community, improve their well-being, have a chance to socialise and receive mentoring for transitions into employment. Everyone shares tips and learns from others. 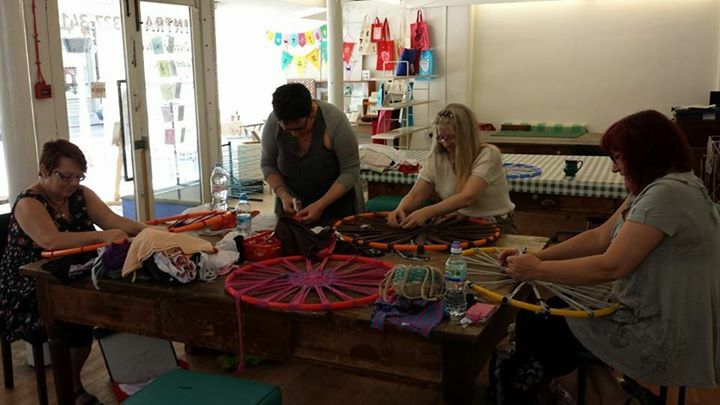 Regular sessions are devoted to specific skills such as crochet, knitting and sewing, and affordable materials are on hand to buy. Regular activities are run by Unravel & Unwind in INTRA’s workspaces. Classes include ‘Fabric Manipulation’ where textures and effects are sewn to artful effect with textiles, an art class ‘Can Draw, Will Draw!’ focusing on a different technique each week, memory bears and bunnies created from well loved or meaningful items of clothing, decoupage with comics and wrapping papers to transform objects, and fun figures made with polymer clay. See the Unravel & Unwind website for details of prices and activities. Tags: Craft. Bookmark the permalink.